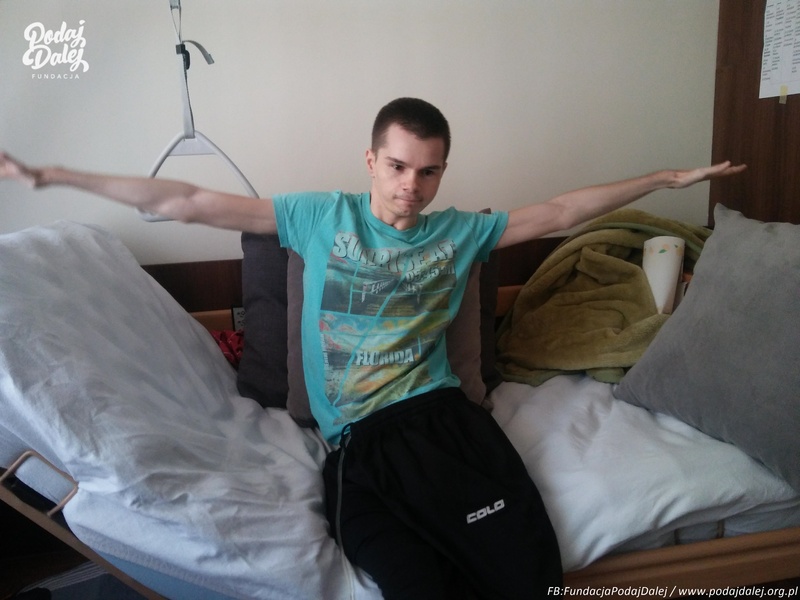 What does an 18-year-old do, lying in a hospital bed for months, connected to a respirator, unable to move even his toe? Honestly? He stares at the ceiling and prays to die as soon as possible. I did not have the courage to finish myself. Fortunately. 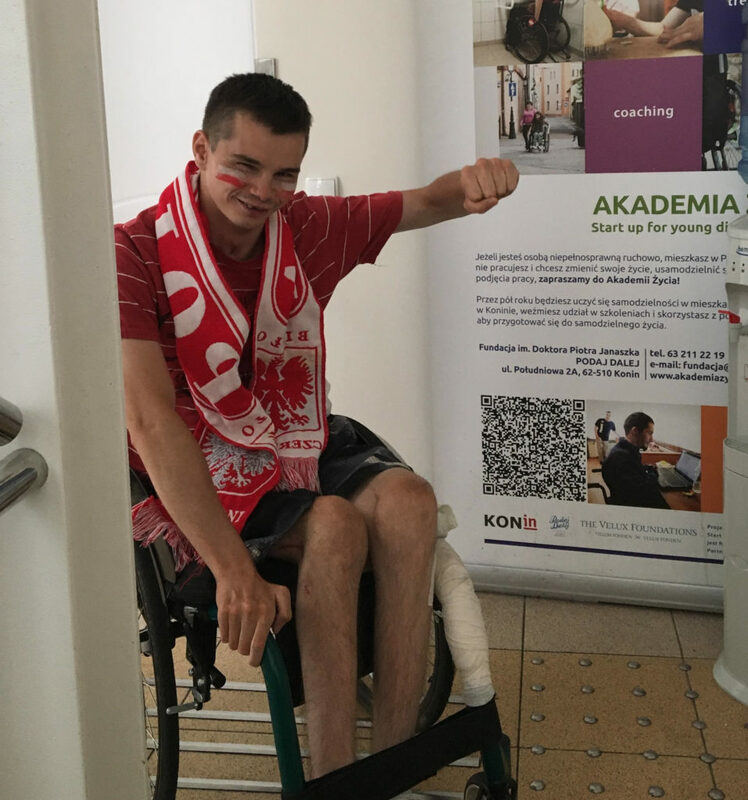 Because when they put me on a wheelchair, I realized that you can still live well while sitting – recalls Maciej Gąsiorowski, participant of the „Academy of Life” of the Doctor Piotr Janaszek PAY IT FORWARD Foundation from Konin. I did not have my 18th birthday party. 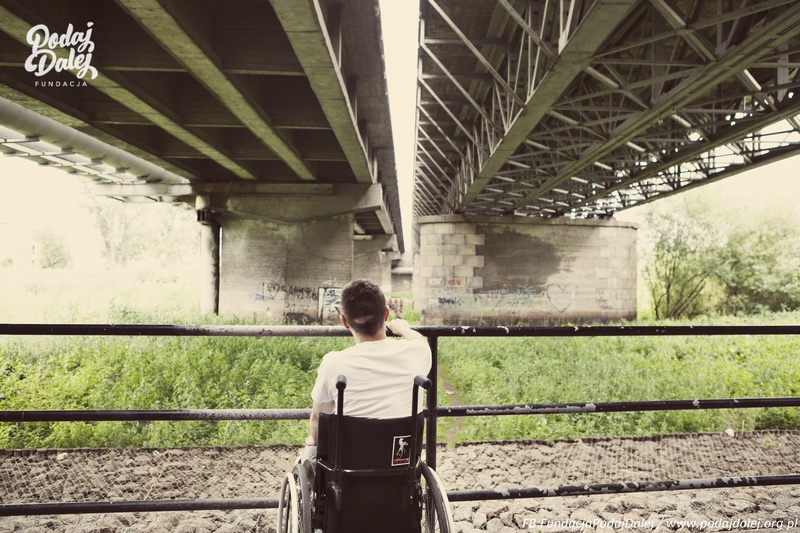 I entered adulthood in the hospital silence interrupted by the sound of medical devices connected to my body and bemused with painkillers. I did not dream about making plans. In short moments of consciousness, the fragments of memories from before 3 months flew before my eyes, and to be exact from July 21st, 2015. I had just finished junior-high school. After the holidays, I was supposed to start learning woodwork in a vocational school. The Harvest, in my Naprusewo, a small village near Konin in the Greater Poland Voivodeship, was already well under the way. Together with my siblings, I helped my parents to harvest cereal from the fields. That day started sunny. The rain came suddenly leaving wet marks on the road surfaces. I went with a friend in his car for new parts for the combine. I was to tell him to slow down. I did not make it. The trunk of the tree that the car hit is the last thing I remember from that day. I awakened in bed in the intensive care unit of the hospital in Konin. They told me that my friend came out unharmed from the accident. The impact force had accumulated on me. I had a concussion, broken ribs, damaged liver and spleen, beaten lungs, broken spine and severed spinal cord. Every other day, they would put me to sleep to remove the mucus from the lungs. „Boy, it’s a miracle that you survived,” said the doctors and the family who were at my bedside. And I thought terrified: – What miracle, if I cannot move my hand, my leg, and the respirator breathes for me. And I prayed, I prayed fervently. Not for health. To die as soon as possible. They were „putting me together” me for several months. First in Konin, then in Słupca, then in Poznań, and again in Słupca and again in Poznań. I spent two years lying in bed. During this time I saw as much of the world as on television, or during trips from one hospital to another. I was so weak that I „caught” every virus and every bacterium. Two times I had a cardiac arrest and I had to be resuscitated. Once the kidneys stopped working. I got bedsores on the coccyx, on my thigh, near my knee, on my ankles. The terror was gone. 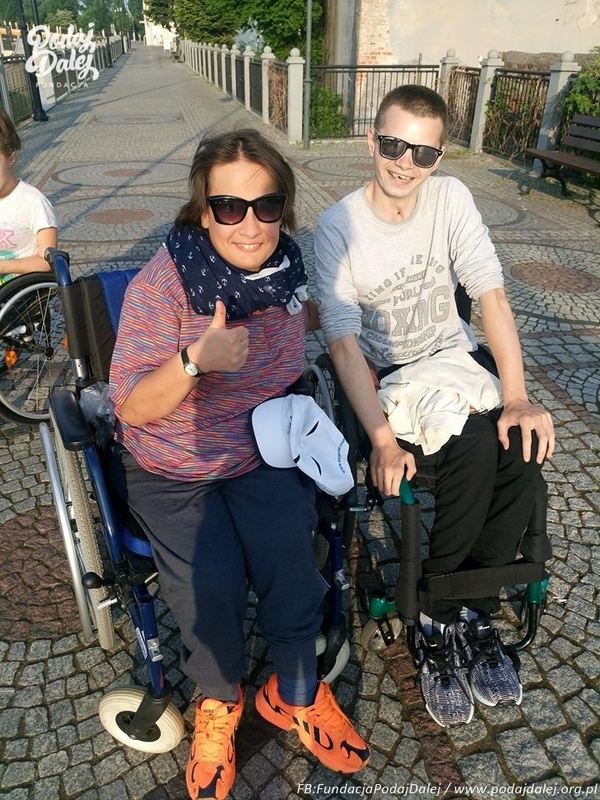 Painful consciousness came: I cannot move my legs, I will never walk, I have a part of my right hand paralyzed, my left hand is fine, what will I do with them? In the hospital in Słupca Marcin Kupiecki visited me. 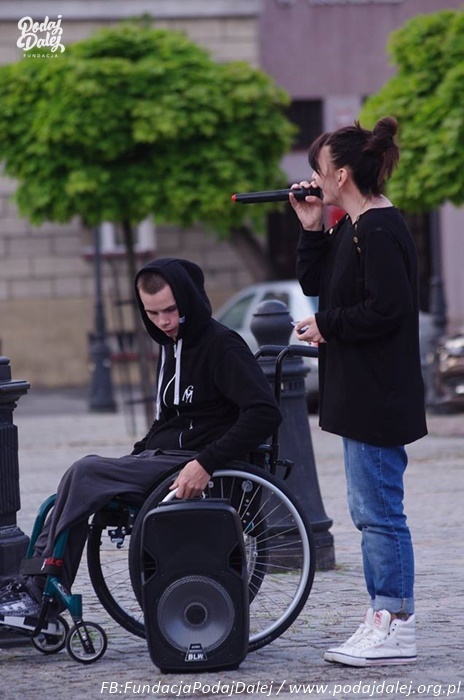 He had so much enthusiasm when he spoke about the „Academy of Life” that it was the project of the Doctor Piotr Janaszek PAY IT FORWARD Foundation in Konin, that „they put people in the vertical position”, they teach everything that is needed, and even find a job. 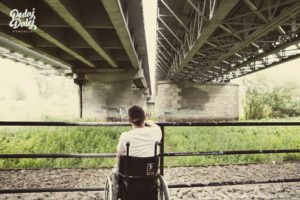 I watched and scowled as he steered his wheelchair. With one ear, I listened to the tales of his new life. Hoping he would back off I told him that I would check that out and I would call him, but I really did not “give a damn” what would happen to me. I got depressed. The psychologist did not help. Everything became indifferent to me. The decision came suddenly. When I was waiting at home for another surgery – this time of bedsores. Then it dawned on me that I could spend the rest of my life in just this way – lying in bed, being turned on the bed several times a day by my parents, put outside like an infant so that I ventilate and see the sky. 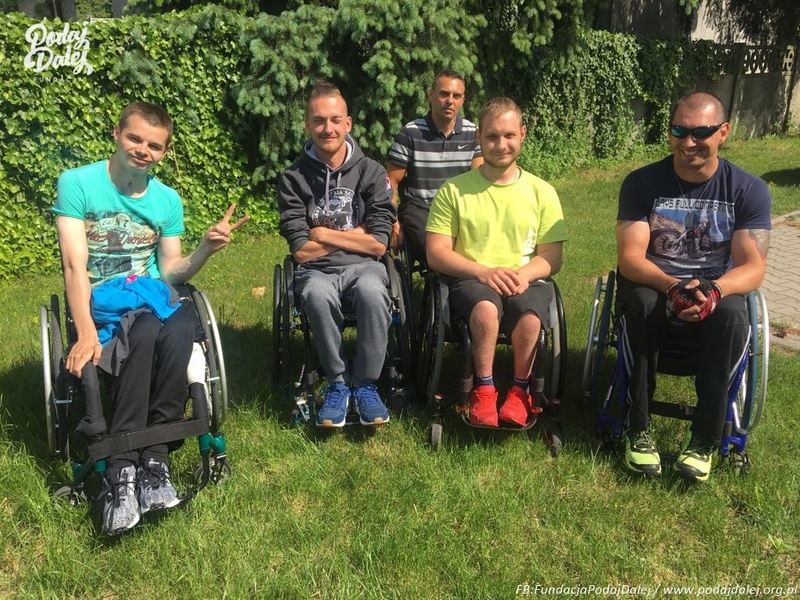 – So maybe it is better to ride a wheelchair, like Marcin? – I thought. – Then at least I will leave the house when I want to, and not when others have time to take me out. I told my parents that I was going to the “Academy of Life” for half a year. Dad did not protest. My mother was afraid that I could not cope on my own. I’m not surprised. When I got there I could not even sit stably alone on the bed. At the Academy, they taught me everything from the beginning: how to get on the wheelchair, how to get off of it, how to stay in it, how to ride it, how to overcome obstacles. I learned to get on the bed myself and get off of it, wash myself, prepare meals, shop, clean, do the washing and ironing. My mother could not be more amazed when, after returning home, I swept and washed the floor, I helped cook the dinner and I fed the dog. I am going back to the Academy soon. This time, the „Academy of Independence”. 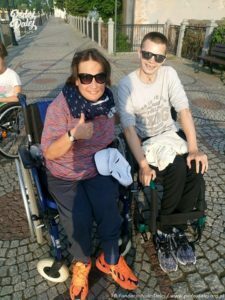 This is a new project of the PAY IT FORWARD Foundation for disabled residents of the Greater Poland Voivodeship. I still do not think about the distant future. I do not plan to study, go to school or get a profession. My plan for now is just to polish all these new skills. And try things that a few months ago seemed impossible to me. Because I am sure of one thing now- I can and I want to be independent. Even if I am independent sitting.